For as long as I can remember, I have been absolutely obsessed with the veggie pizza appetizer that my mom used to make. It was one of the only things that could convince me to eat raw broccoli; most likely because it sat on a bed of ranch dressing and buttery crescent rolls. 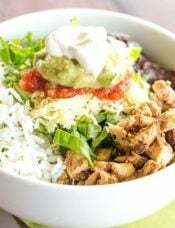 That appetizer was especially popular on New Year’s Eve and during the winter months. I fell equally in love with its sweet counterpart as soon as summer rolled around. Those same buttery crescent rolls were baked up and topped with a sweet cream cheese mixture and tons of fresh fruit. Decades later, I am still in love with both versions of this “pizza” recipe. Now that we’re officially in the throes of summer, I just can’t get enough of fresh fruit, which makes this a perfect summertime dessert. Many versions of this recipe use a sugar cookie base, and I’m sure that’s fabulous as well, but I just can’t budge from old memories when it comes to some things, this being one of them. The most important thing is the cream cheese topping and lots of fresh fruit – whatever your favorites are, just pile them on! I love using a variety of colors – so pretty! If you make this for the 4th of July, you could use an alternating mix of strawberries and blueberries for a festive look. 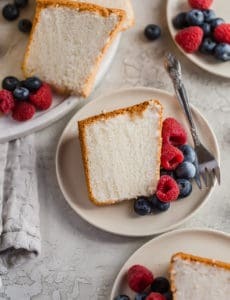 I just adore nostalgic recipes, even if I only bust them out once or twice a year! 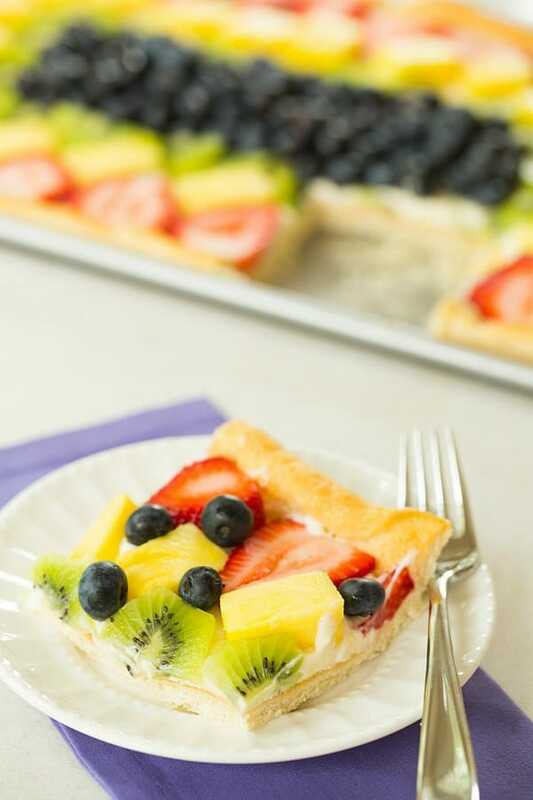 A crescent roll crust topped with a cream cheese mixture and fresh fruit - perfect for summer! Unroll the crescent rolls and press into a 10x15-inch pan (or place on a parchment paper-lined cookie sheet), making sure to seal any seams. 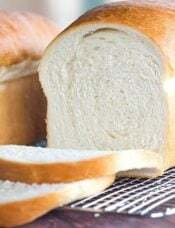 Bake for until puffed and golden brown, 11 to 13 minutes. Place the pan on a wire rack to cool completely. Using an electric mixer, beat the cream cheese at medium speed until soft and smooth, about 2 minutes. Gradually add the sugar and beat until completely combined, then mix in the vanilla extract. Using an offset spatula, spread the cream cheese mixture over the cooled crust. Top with assorted fruit of your choice. 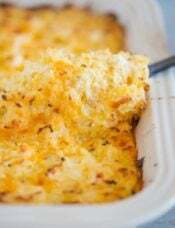 Serve immediately, or cover and refrigerate for up to 2 days. Great recipe. I used 8oz cream cheese and 4oz coffee flavored mascarpone cheese. Also used vanilla bean paste. Drizzled an apricot glaze over the top and it was over the top!!! I really enjoyed reviewing your amazing recipes! 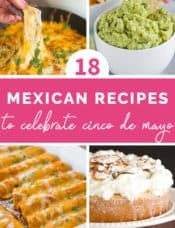 Can’t wait to try some of them for family and friends! A healthy pizza that is also yummy! It’s a dream come true!! My mom used to make a fruit pizza that had a gelatinous topping over the fruit. It didn’t have a huge flavour, but it was very good! And it had a shortbread/sugar cookie type crust. 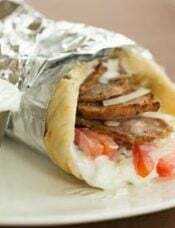 Simple and delicious – my kind of recipe! Your photos are gorgeous, as always. Thanks for the recipe. this is such a pretty, show stopping dessert! I love fresh fruit too, so I’m loving this! Awesome. but you MUST use a glaze! SOOOOOOO much better and shinier too! 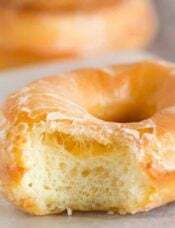 Do you have a recipe for the glaze? Thanks! Looks super delicious and colorful.. awesome clicks too!! Wow! So simple but so creative! i never had one but what’s not to love? This might be a dumb question, but how do you seal the seams? I think this is going to be a fantastic alternative for my ladies church luncheon coming up! This looks delicious! 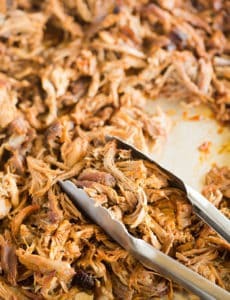 Such an easy, great recipe! I’ll definitely be using this this summer! I was a bit surprised at your recipe. The one I have had for 30 years call for a sugar cookie base, an arrangement of fruit over cream cheese, with a glaze over the fruit made of fruit juice and cornstarch. That last step keeps the fruit appearing fresh for day! 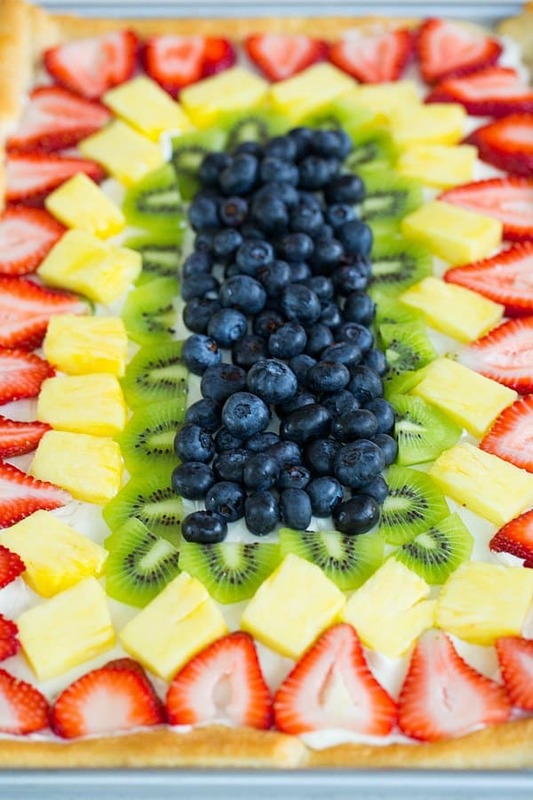 Fruit pizza always makes an appearance at our family summer gatherings! We’ll have to try it with crescent rolls sometime! 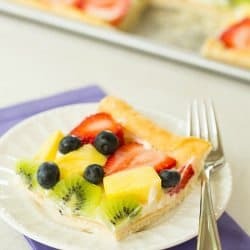 My husband is a fruit pizza FANATIC, and he claims what ties it all together is the glaze I put on mine… It’s an orange juice/sugar/water/cornstarch mixture that helps all the flavors blend together nicely. 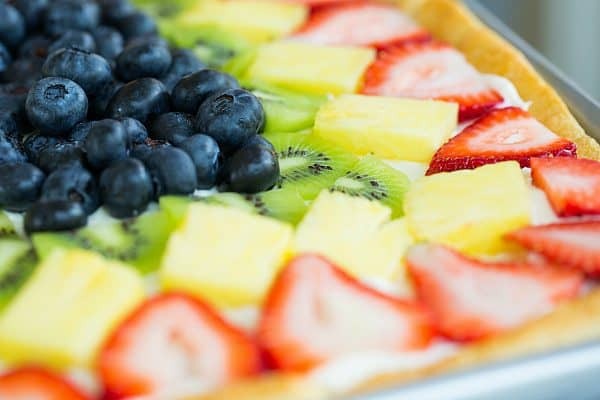 I personally don’t waste calories on many desserts that don’t have chocolate, but fruit pizza is his all time favorite. 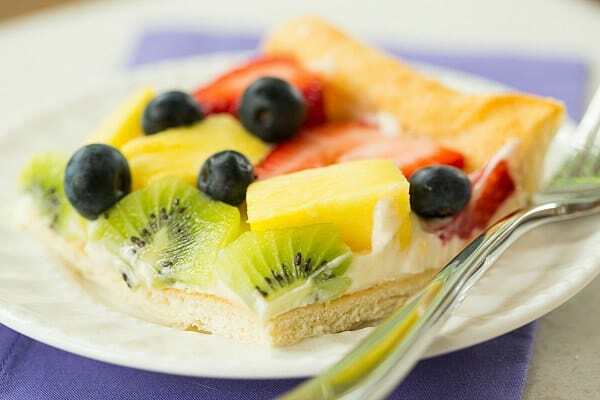 I love to be the one to bring the fruit pizza to the party because then everyone loves you! But I’ve never used crescent rolls before, always made a shortbread crust. Need to try! Not the best baker so need all the help I can get!! Sometime switch out the crescent rolls with pizza crust (in a tube) from the same company. It’s less gummy but still has that “flavor”. 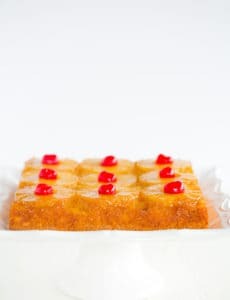 Looks absolutely gorgeous… Just want to take a bite. I love your fruit choices! I love that you used crescent rolls rather than a sugar cookie base – what a great trade, and I love your version! Gorgeous fruit assembly, too! So pretty & pinned!